1) The title wasn't allowed to be a FPS. 2) The game had to have local co-op (also known as couch co-op). 3) The game had to be a title for the PS3 or Xbox 360. Rock Band is quite the experience. It's insanely difficult to not have fun playing this game (hooray for double negatives!). I personally love to hit things repeatedly or sing in a way that creates an ominous noise emanating from my open maw. I can finally share those experiences with a friend or a plethora of strangers I pounced upon outside of my house. The only thing holding this game back is the steep cost thanks to the pile of fake instruments required to play. Whether you want to take over China or pilot a Gundam (Now we just have to wait to be able to do both at the same time. ), you're in luck since that's what Dynasty Warriors is going to give you. Dynasty Warriors brings more hack and slash action than your body has room for and the best part is that you can enjoy it all with a friend. Be prepared to mow down waves of enemies while forming your own strategery (the proper term) to take over key points on the battlefield. Conquest never tasted so sweet. The AI bestowed upon your partner in this game is surprisingly worse than any of the enemy AI in previous titles. It's as if they were purposely aiming to make terrible AI for her. The great news is that a friend of yours can grapple the second controller and suddenly this becomes one of the best co-op experiences around as you take on countless zombies together. It's only further made awesome by the fact that this is a Resident Evil game so you can expect all the goodies that come with the franchise. Grab a friend or three and your favorite Marvel characters to do superheroy (it's a word now) things. If you're oldschool then you might compare this to Gauntlet. If you're a seedling then this is where you get to learn just how fun simple gameplay can be. If you don't have three grizzly bears to smash the controllers beside you then you can swap between four heroes of your choosing on the fly. Plus it has Deadpool. Do you really need another reason to play this? The LEGO games are a lot like Kingdom Hearts in a way: taking two different universes from two different franchises and melding them into one sweet love child. There's a ton of content here and a load of humor to go along with it. It's obvious they paid close attention to the source material and managed to mix tribute and parody in one package. Prepare yourself for a nostalgia rush. If anyone remembers Alien Hominid, made by Behemoth (which includes Dan Paladin of Newgrounds fame) then you'll immediately know what you're getting into here. Dan's unique art style is being put to great use once again as you play as one of several different magical Knights to save the kingdom in this retro arcade brawler. It's a crazy load of fun with more than enough incentives to play through the main story again and again. Fun puzzles? Interesting environments? Tons of action? A c-op experience that requires actual teamwork? Not actually a Tomb Raider game with all of the baggage it's gained over the years? Sign me up. Everyone should seriously give this game a shot. Creative and borderline insane weapons? Check. Crazy and lovable characters? Check. Hilarity and shenanigans? Check. It's a Ratchet and Clank game through and through but this time it's designed for multiple players to team up to solve puzzles together and blow everything to smithereens. And ultimately, isn't that what we all want? An entire separate campaign is devoted to co-op here and it's more than worth your time. 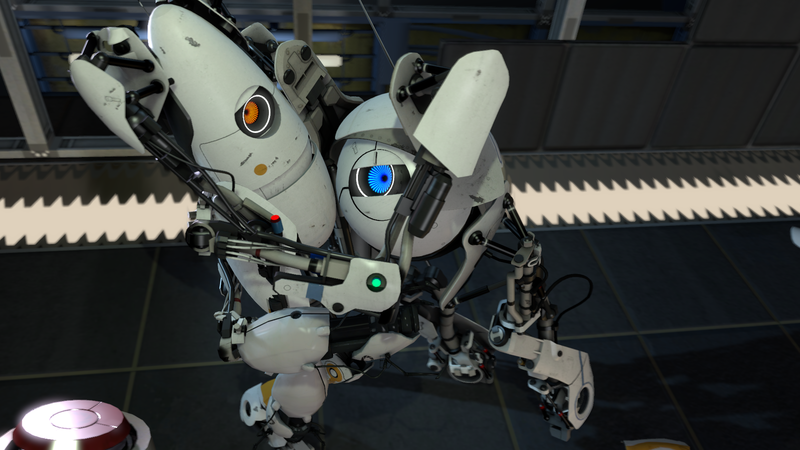 I don't think Portal needs any introductions at this point as everyone and their mom has heard about it and it's not like you can go wrong when Valve's name is attached to something. Just do yourself a favor and buy this immediately. No other platformer brings this much joy with a co-op experience. Customizing your character, exploring stages for every hidden item, taking on mini-games, puzzles, challenges, and using all of the zany gadgets is just the beginning. The best part: nearly infinite replay value. You can create your own levels or play through any created stage online. I've seen everything from dungeon crawlers to top down shooters, pinball machines to interactive movies, and even flight simulators and RPGs. It would actually be a chore to run out of things to do in this game. I hope you enjoyed the list and get to experience even half of the games on here. They're worth every penny. Also, be on the look out for BattleBlock Theater (also made by The Behemoth) which as of the time of this writing still doesn't have a release date but it looks like it would easily deserve a spot on this list once it arrives. This is Kylak signing out and giving many thanks to Avaelendil for handing the idea of this article to my face.